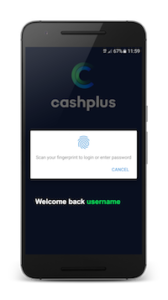 The award-winning Business Current Account from Cashplus has been specifically tailored to the needs of Small Businesses, Freelancers & Start-ups. With UK based customer service, as well as 24/7 mobile and online account access, the account is the ideal low hassle way to manage your business finances. As no credit check is required to apply, the account can be applied for instantly online, with the Account Number and Sort Code being available at the end of the application process for successfully verified customers. To receive the above discount on first year annual fees and to be tracked as a PARTNER customer, please use the above link when applying for the account.